Whimsical, ethereal and oh-so pretty, today’s dusty blue wedding inspiration from Amber Dawn Photography is everything we love about Tyler Gardens, and then some. The fresh winter florals and the romantic tablescape.. the most beautiful blue wedding gown and the effortlessly-chic hair and makeup: all of it adds up to winter-wedding perfection. There’s so much inspiration to be found in this shoot, and any bride and groom could easily add some of these simple touches to make your day even more elegant. We’re totally smitten, and know you will be, too! 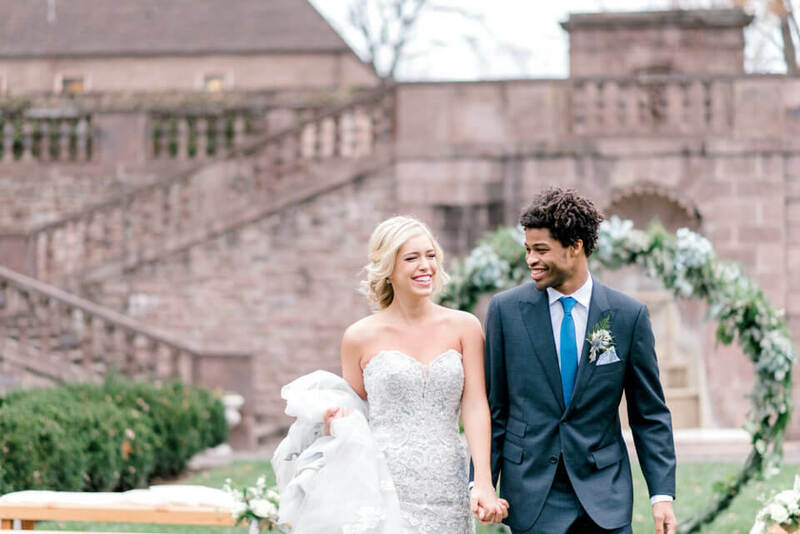 From Amber: Beautiful winter styled shoot at new venue, Tyler Gardens, in Newtown, Bucks County. I fell in love with the manicured gardens, gorgeous statues, and elegant architecture. the manicured gardens, gorgeous statues, and elegant architecture.